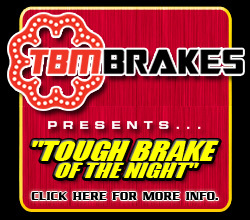 (Middlebourne, WV)...The inaugural "RUSH Night" will take place this Saturday night (April 27) at "The Bulling" at Tyler County Speedway. It'll be a Sweeney Chevrolet Buick GMC RUSH Racing Series powered by Pace Performance doubleheader featuring the RUSH Sportsman Modifieds in a Hovis Auto & Truck Supply Touring Series event along with the RUSH Sprint Cars in a Bonnell's Rod Shop Weekly Series special. 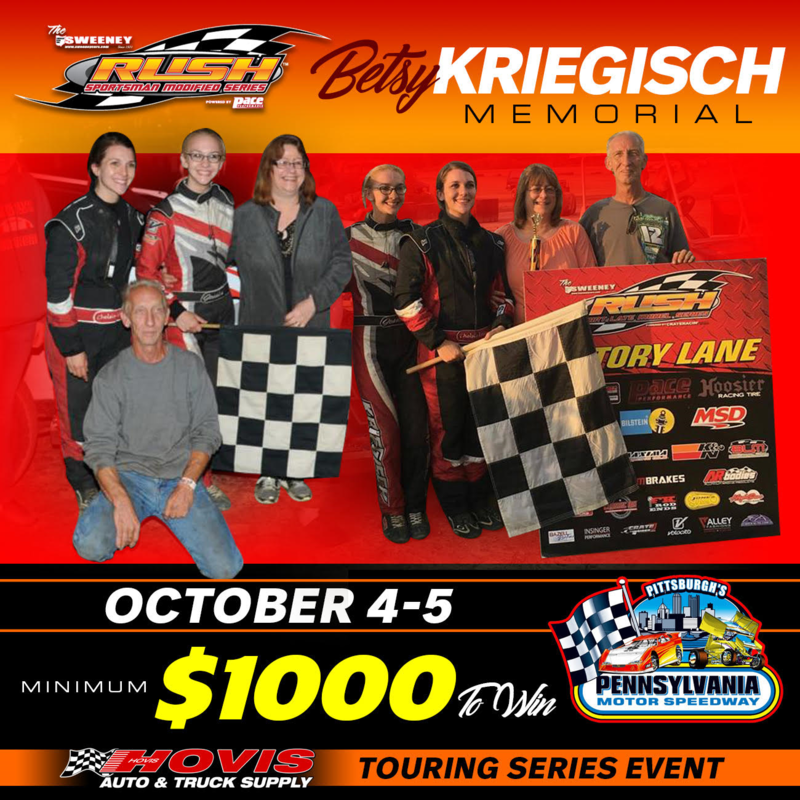 Warm-ups are slated for 6 p.m.
(Pulaski, PA)...The Sweeney Chevrolet Buick GMC RUSH Sportsman Modified Series powered by Pace Performance is pleased to announce that the "Betsy Kriegisch Memorial" will be part of the "Pittsburgher" weekend at Pittsburgher's PA Motor Speedway October 4-5, 2019. This second annual event will now be run under the Hovis Auto & Truck Supply Touring Series banner. The weekend also includes the "Bill Hendren Memorial" for the Sweeney RUSH Late Model Touring Series and is highlighted by the $20,000 to-win "Pittsburgher 100" for the Lucas Oil Late Model Dirt Series on Saturday night. 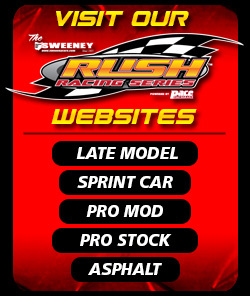 (Pulaski, PA)...The Sweeney Chevrolet Buick GMC RUSH Racing Series powered by Pace Performance is happy to announce that Sherwood Racing Wheels will be the "Official Wheel" of the Sportsman Modified division for the fifth consecutive year. 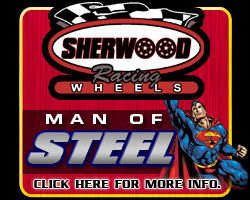 In addition, Sherwood will present the "Man of Steel" program at all Touring Series events, and will contribute to both the 2019 Sportsman Modified and Pro Mod "Manufacturers Nights" presented by MSD Performance. (Pulaski, PA)...After five years of consistent steady growth, the Sweeney Chevrolet Buick GMC RUSH Sportsman Modified division powered by Pace Performance is set to embark on what is expected to be a banner year in 2019. Thirty-two events are scheduled at seven of the region's premier speedways; Sharon, Lernerville, Pittsburgh, Raceway 7, Expo, along with the division's first ever visits to West Virginia's famous "Bullring" Tyler County Speedway and Dog Hollow Speedway for Tour events. The Tyler County show will open the Tour season on April 27. Fourteen-year-old Blaze Myers pulled off a stunning upset to win his first career Bicknell Racing Products Tour feature for the Sweeney RUSH Sportsman Modifieds, worth $800. Myers won the last chance B main from the third starting spot then charged from 19th in the feature to pull off a last lap pass of 2018 Bicknell Tour and Weekly Series Champion, Garrett Krummert. To make things even more impressive, Myers did a 360-spin with five laps to go losing at least five positions. The victory also propelled Myers to the "Futures Cup" Championship! Myers also picked up a pair of contingencies with the $100 Precise Racing Products "Pedal Down" Hard Charger gift card and the Sherwood Wheels "Man of Steel" free steel wheel. 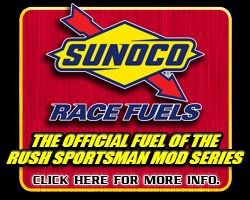 (Pulaski, PA)...As the 2018 season draws to a conclusion for the fifth year Sweeney Chevrolet Buick GMC RUSH Sportsman Modified Series powered by Pace Performance, the Series has already begun to look ahead to 2019. The 2019 season will see a couple changes with no eligibility restrictions in place for local racers, and the addition of a nightly "Wheelman" Bonus Event at Sharon Speedway sponsored by Wedge Motorsports, C&R Tire, and others to be announced with a separate points fund for RUSH member racers that have never won a feature in their career. (Hartford, OH)...After what was predicted to be a dry forecast for the annual "Apple Festival Nationals" at Sharon Speedway on Friday and Saturday, the storm system came in some 24 hours early beginning late Friday night washing out the RUSH Sprint Car feature as well as Saturday's program that included the remainder of the Bicknell Racing Products RUSH Sportsman Modified Touring Series event. (Hartford, OH)...The Sweeney Chevrolet Buick GMC RUSH Sportsman Modified Series powered by Pace Performance participated in their first of two Bicknell Racing Products Touring Series events of the season at Sharon Speedway on Saturday night. An all-time record high of 38 cars turned out for the fifth annual "Manufacturers Night" presented by MSD Performance as a record amount of more than $20,000 in actual, useful product was distributed to the competing racers by random draw during intermission. Prizes ranged from a minimum of $300 up to $1,420 in value (see prize winners list below). Chas Wolbert has been on a roll. Wolbert entered the night a winner of three straight Bicknell Weekly Series events at Sharon. On Saturday night, Wolbert started fourth and took the lead from Rocky Kugel on lap seven. Wolbert then raced on to become the first driver in Series history to win four straight races at any track! The 25-lap, $600 victory was Wolbert's first this season in Bicknell Racing Products Touring Series competition, but his fourth of his career putting up on top of the Series' all-time win list. Wolbert's five wins this season at Sharon alone have totaled $2,700. Wolbert also won a complete RUSH-legal header and exhaust system from Schoenfeld as part of the "Manufacturers Night" drawings. (Franklin, PA)...The Sweeney Chevrolet Buick GMC RUSH Racing Series powered by Pace Performance had a doubleheader on Sunday in the final appearance of the season at Tri-City Raceway Park for both the RUSH Sportsman Modifieds and RUSH Sprint Cars as Garrett Krummert and Chad Ruhlman were victorious in their respective divisions. It was race #3 of the 2018 season for the Bicknell Sportsman Modified Touring Series with all three races coming since Wednesday in addition to a Bicknell Weekly Series event on Saturday at Pittsburgh's PA Motor Speedway. Garrett Krummert wrapped up a busy weekend for himself and the RUSH Sportsman Modifieds putting on a dominating performance in the 20-lap feature for his first career Bicknell Touring Series victory, worth $600. Krummert, who won the May 20 Bicknell Weekly Series race at Tri-City, competed in all four RUSH Sportsman Modified races in five days with two wins, a second, and a sixth place in addition to a runner-up and third place finish with the Big-Block Modifieds. (Cortland, OH)...The Sweeney Chevrolet Buick GMC RUSH Sportsman Modified Series powered by Pace Performance returned to Expo Speedway on Thursday for night two of racing as part of the 172nd annual Trumbull County Fair. It was the first time in Series history for back-to-back Bicknell Racing Products Touring Series events at the same venue. A total of 23 different drivers participated over the two evenings at the 5/8-mile track, and the Fair has already expressed their desire to bring the Series back for two nights in 2019. Brandon Ritchey led all 20 laps of the feature driving a perfect race through lapped traffic over the final seven laps to capture his first career Bicknell Touring Series victory. Ritchey also became the fifth different winner in five races held over the past four seasons for the division at Expo! The win was worth an all-time division-high $1,000 after Rockabilly Ruckus Ohio posted a $200 bonus for finishing in the top five both nights. With a second place finish on Wednesday, Ritchey takes the early Bicknell Tour points lead. (Cortland, OH)...The Sweeney Chevrolet Buick GMC RUSH Racing Series powered by Pace Performance had a doubleheader of action on Wednesday for the first of two nights of racing at the 172nd annual Trumbull County Fair at Expo Speedway. The RUSH Late Models competed in a Sweeney Platinum Touring Series event for the 11th consecutive year in their ninth event of the season, while the RUSH Sportsman Modifieds raced in a Bicknell Touring Series event for the fourth straight year in their season opener. 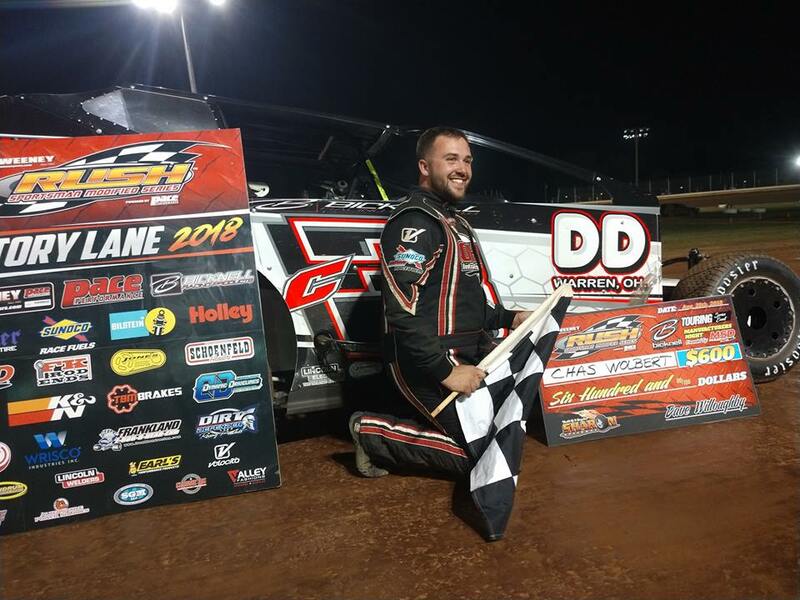 Last year, Kyle Martell opened the Bicknell Touring Series season for the Sweeney RUSH Sportsman Modifieds victorious at the first two events, and even though he didn't win the rest of the season went on to capture the title. On Wednesday night, Martell began his title defense in victory lane for the first time ever at Expo. The 15-lap win was worth $600 and if Martell can repeat last year's feat of winning the first two shows, he'll earn a $1,000 bonus on Thursday night from Russ King Racing! (Hartford, OH)...The Sweeney Chevrolet Buick GMC RUSH Sportsman Modified Series powered by Pace Performance will head to Sharon Speedway in Hartford, Ohio this Saturday night (June 23) for “Manufactures Night” presented by MSD Performance featuring the season opener for the Bicknell Touring Series. Racing begins at 7 p.m.
Saturday will mark the fifth annual “Manufacturers Night” for the Modifieds and fourth straight year to be held at Sharon as currently $18,000 in products will be distributed to competing racers. There will be at least 38 product packages each valued at a minimum of $300 up to the grand prize of $1,420! (See complete prize list to date below.) If there are less cars than the number of prizes, a second round of drawings will be conducted. Certificates for prizes are non-transferable and prizes must be redeemed by December 31, 2018 unless otherwise noted. (Pulaski, PA)...The Sweeney Chevrolet Buick GMC RUSH Racing Series powered by Pace Performance is thrilled to announce that Dirt Defender will be the "Official Wheel Cover" of the Series in 2018. Dirt Defender will provide wheel covers to the "Defensive Drive" recipient at every Touring Series event for both the Sweeney Late Models and Bicknell Racing Products Sportsman Modifieds. In addition, packages will be awarded throughout the Series' "Manufacturers Nights" presented by MSD Performance for all of the dirt divisions. 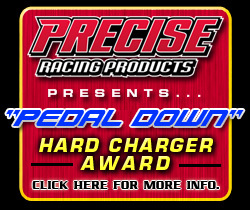 The program will be supported by Close Racing Supply (Eldred, Pa.) and Hoosier Tire Mid-Atlantic Maryland/Precise Racing Products (Sarver, Pa.) where racers will be able to redeem their Dirt Defender Product certificates.